LulzSec is gone now following the ratting out of its top members by the group's apparent leader, Hector Xavier Monsegur, aka "Sabu". Charges were filed in US District Court for the Southern District of New York on Tuesday, charging four members with two counts of conspiracy to commit computer hacking. Those charged on Tuesday include Ryan Ackroyd aka "Kayla" and Jake Davis aka "Topiary" of London; Darren Martyn aka "pwnsauce" and Donncha O’Cearrbhail aka "palladium" of Ireland. A fifth, Jeremy Hammond aka "Anarchaos" of Chicago was also charged, but in connection with the Stratfor hack that occurred last December. 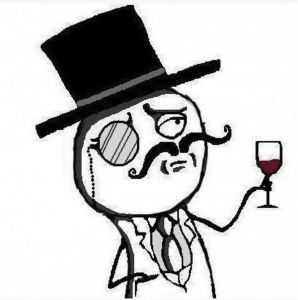 He was arraigned separately of the rest of LulzSec. BetaNews has obtained the arraignments of both Hammond and the remaining four members of the group which are included below. Law enforcement says that Mosegur could face a maximum of 124 1/2 years in prison; Ackroyd, Martyn and Davis 20 years; and O'Cearrbhail 10 years. Hammond may face up to 30 years for his involvement, the United States Attorney's Office says. Below are the full text of the indictments.